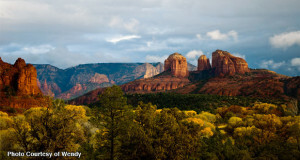 While the Slide Rock State Park does not allow camping, there are still many exciting activities for visitors to do there. 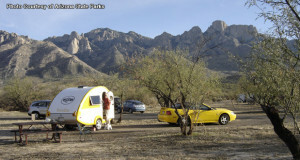 Visitors to the park can go hiking, fishing and swimming at as well as get a glimpse of the local wildlife. 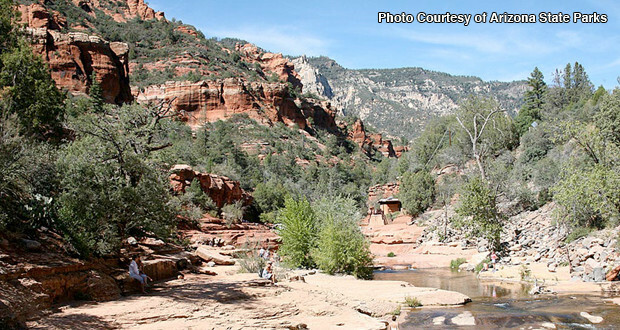 Slide Rock State Park has three hiking trails; the Clifftop Nature Trail, Pendley Homestead Trail and the Slide Rock Route. 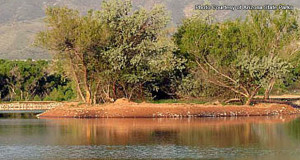 The smallest is the Clifftop Nature Trail, which allows visitors to experience a scenic view of the swim area of Slide Rock State Park. The Pendley Homestead Trail is easy for anyone to walk. When visitors walk along this trail they can see the Pendley Homestead House, the apple packing barns and orchards and farming implements used throughout the history of the Pendley Homestead. 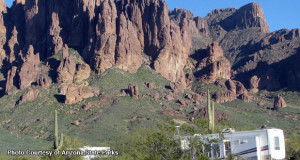 Visitors that walk this trail will also see the Oak Creek Canyon’s walls. 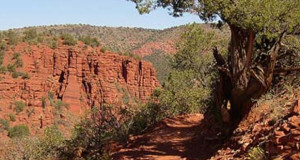 The Slide Rock Route is a moderately difficult trail to walk. This route leads to the park’s swim area. 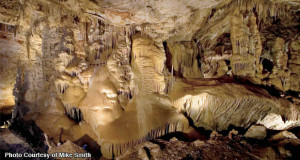 Visitors can also use the park’s natural water slide, which runs parallel to Oak Creek. The park’s hours vary according to the time of year. From April 1 to May 24th, it is open 8am-6pm, from May 25th to September 2nd it is open 8am-7pm, from September 3rd to October 31st 8am to 6pm and from November through March it is open 8am to 5 pm. The entrance fee is $20 per vehicle or $3 per person.